On Sunday 16th July we held another delicious Sunday Workshop. This one was inspired by my sister’s visit from Canberra so between us and my other sister, Sally, we created a wonderful day of pastels, food and a touch of yoga. With food being the subject we began the day with carrot cake – painting it that is! Everyone’s cake looked so delicious and then for morning tea we had the real thing, yum! After lunch we settled in and spent the rest of the day painting a gorgeous beach scene in purple and yellow complementary pastels. There was plenty of chatter, laughter and of course some of us struggled a bit to get everything right, but at the end of the day everyone had painted magnificent scenes and they looked great. 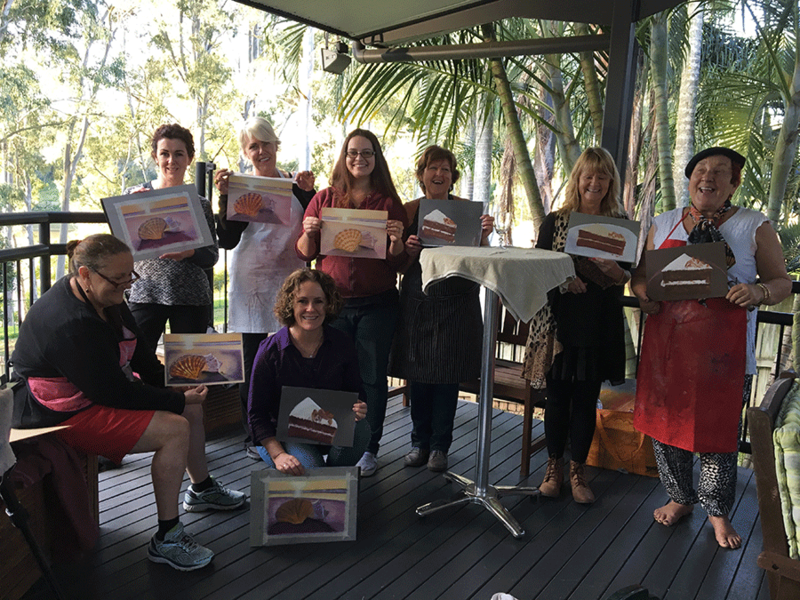 The Delicious Art Sunday Workshops are a wonderful way to learn to paint with pastels, enjoy the company of other arty people and just take time out for yourself. Nearly everyone arrives with some trepidation and doubt, because we’re human aren’t we, but there’s also a touch of excitement and anticipation to see what we’re capable of, to tap into the inner artist who might not have been around for a while. And by the end of the day there are smiles all round, new friendships and a wonderful feeling of achievement. That’s the best part! Last week I had just one student come to class. It was one of those days when everyone else was busy, last minute stuff happened and they couldn’t make it. After coming to classes for the last six weeks I finally feel ready to start my own painting. The first couple of classes really pushed me out of my comfort zone and I wasn’t that happy with what I did. Coming here every Friday means taking time out of my business and some weeks I’m crazy busy, but I’m committed to coming every week and learning something new and it’s so good for me. Starting my own painting today has been a lovely experience because I had to think about colours and composition and find something I want to paint. I really enjoyed the process and having all the classes before this one has prepared me for this. 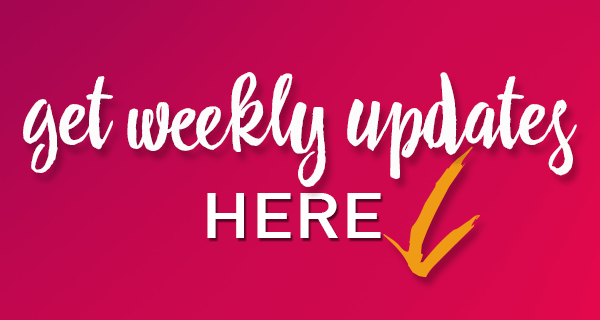 I’m so excited to be doing this and I feel very content to take it slowly and work on it each week. I love your art classes Jeanne, it’s precious time I give to myself, it’s meditative, peaceful and relaxing. Thank you!